Home ownership, a vital element in what constitutes The American Dream, is certainly a blessing. Unfortunately, it also contains the seeds of what can be financial misfortune, perhaps never more graphically depicted than in an old Tom Hanks movie, The Money Pit, in which a young couple experiences every calamity possible in remodeling a dilapidated house. With the aim of helping aspiring homeowners avoid some common errors, I want to pass on five tips. Perhaps the most overused phrase in real estate is: “The three most important factors in real estate are location, location, and location.” That happens to be true, but rarely does advice follow its utterance. What this means in practical terms is that you select your home in an area that exhibits pride of ownership, few, if any, slum properties, an absence of nearby vacant commercial spaces, neighborhood schools with high performance ratings, and a community with a low crime rate. Whatever cannot be noted by inspection is readily available from a variety of sources. And as to the house itself, thought it’s always nice to get a pretty one, the location is the main concern. I’ve always operated on the premise that the worst house in the best neighborhood beats the best house in the worst neighborhood. At no time in the past 40 years have mortgage interest rates been as low as they are today, nor does it seem likely that they will drop lower. Though that doesn’t necessarily mean rates will rise, the odds favor it. The significance: If you finance your home with an adjustable loan, there’s a likelihood that your payments will rise in the future. For this reason, opt for a fixed rate loan. It’s true, of course, that your initial rate will be higher, but if you can handle a 15-year fully amortized loan, you’ll come close to getting the best of both worlds. Home purchases today can be financed with extremely small down payments, sometimes as low as nothing at all. There is temptation for many buyers to leverage themselves into as expensive a home as they can with the least cash possible. I recommend against this for a variety of reasons — most of which have been made obvious in the huge spike in home foreclosures in 2007/2008. However, there’s a specific percentage down payment to aim for. It is 20 percent, and there’s a reason. Loans not exceeding 80 percent of a home’s value normally carry lower interest rates, and are exempt from mortgage insurance that adds a premium of a couple percent per year. 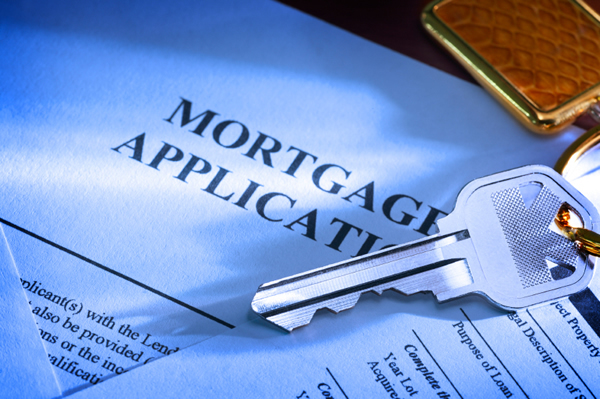 This extra cost is from something called Private Mortgage Insurance (PMI). Married couples traditionally hold title to their homes in joint tenancy. The reason why is understandable. In the event of a death, the surviving spouse receives automatic title to the property without the inconvenience of probate. Although this solves one problem, there is an inherent disadvantage. Only half the property takes a stepped up basis as of date of death. The other half remains at the original acquisition basis. Under certain circumstances, this might result in the imposition of an eventual capital gains tax. This problem is resolved if title is held, instead, as community property, where the full property takes the stepped up basis. Check this with your counsel. Now that you’re sitting in your very own home, you see all the things you want to change. To this I say: Certain items of repair may be required at once for simple habitability, but except for these, go slowly. It’s best that you live in a structure for awhile to get a feel of what you really want. It’s simply that a home will grow on you with time, and ideas concocted during your first week of occupancy often seem outlandish by the third month. It’s best that you spend the first six months in planning, measuring, sketching, collecting prices, inspecting other homes and models, and enthusiastically fantasizing. At the end of that time, you may be ready to proceed — or may decide you like a few things just the way they are.